What Jobs Are Available for Former Military With a Homeland Security Degree? When men or women are looking for jobs for former military with Homeland Security degrees, they may be surprised at how many chances for employment exist. Homeland security is of prime importance in countries around the world, including the United States. The safety and security of our citizens takes primary importance to everyone who holds office in our government. It is important for veterans to understand that just serving in the U.S. military does not guarantee a Veteran’s Preference. You must have served at least two years on active duty during a period of war, have been disabled or any other criteria. Just because you receive a Veteran’s Preference, you are not guaranteed a job. The U.S. Department of Labor Veteran’s Preference Advisor will help you determine if you are eligible for a preference. Foremost on the list of most veterans with a Homeland Security degree, the U.S. Department of Homeland Security is always looking for military veterans to place in open positions. 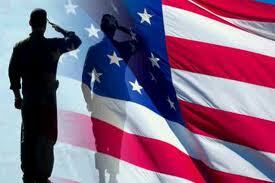 Being part of the U.S. federal government, many military veterans receive a Veterans Preference for any position. If you are interested in working for the department, you might also qualify for one of these special hiring preferences, according to Feds Hire Vets. Jobs for former military with Homeland Security degrees within these agencies are widely varied. Some can be dangerous, some involve relocation and others are conducted within offices in Washington, D.C.
Before you transition to civilian life, take your time to explore each of these career possibilities. Read job notices, contact hiring officials and, if possible, talk to a fellow veteran who now works for a department where you are interested in working. While a background and education in Homeland Security usually means that you look forward to working in a government position, these are not all necessarily within the federal government. Each state and some counties, municipalities and law enforcement agency have positions requiring this training and background. If you are interested in living in a certain location, explore the local public jobs agency’s listings for homeland security positions. There are also positions available within the world of private security. These jobs are not only for a specific private corporation, but a provider of security services for a list of clients. 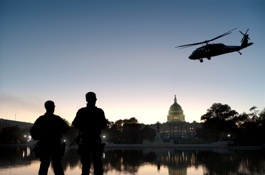 Jobs for former military with Homeland Security degrees open a world or valuable careers. Whether you choose the excitement and variety of a job as a Border Patrol agent, or enter the secretive challenges of cyberspace, your background in Homeland Security is an excellent door to a great future.